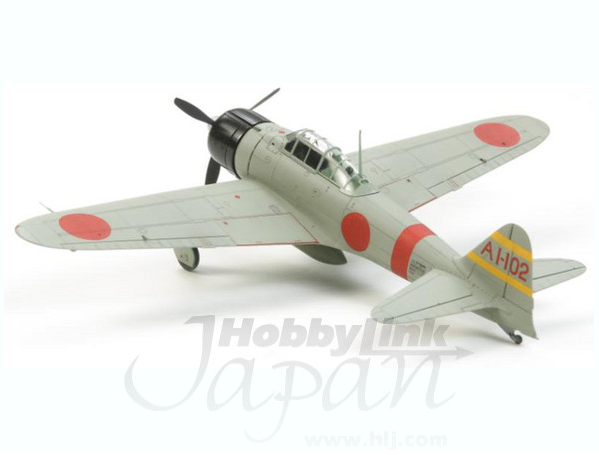 Aviation of Japan 日本の航空史: New Tamiya A6M2 in 1/72nd Scale! 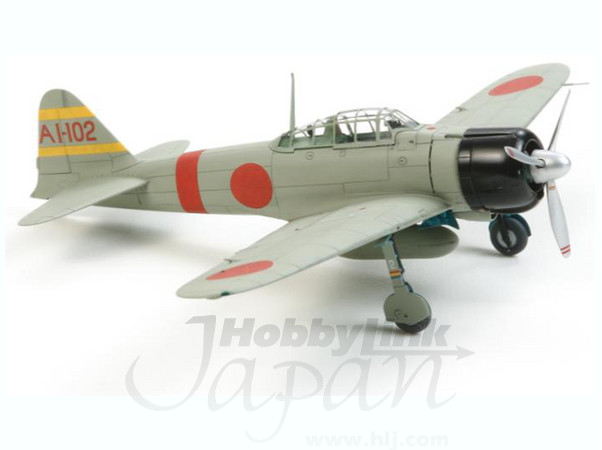 Coming soon - another new Zero model in the one true scale available for pre-order from HLJ. 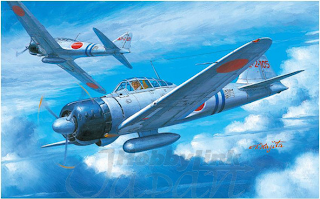 Less than a year after the Airfix A6M2 was released Tamiya will release their own A6M2 in September. I hope this means that perhaps we might see a new Zero Model 22/32 in this scale from Tamiya. Psst! For those who might not have realised it - the colour of this whole blog page background (not the text box or sidebar background) is the colour of the original Zero paint colour, carefully rendered! Hello Nick; Thanks for posting this bit of news. I hope this upcoming Zero from Tamiya includes an option for an open canopy. It's always nice to see something new in 1/72 scale. Nick, yes I DID notice that the blog background is "real Zero" color! I have to say that the color on the Tamiya A6M2 box art was a bit of a start, and something I noticed immediately. I have to say the rather flattened canopy shape and oddly conical spinner in the model photos also stand out...hopefully this is just a test shot, and the final product will be fully to the standard of Tamiya's amazing A6M5 kit. Thanks for the notice, Nick.